We hand make curtains to suit your room and style. Our expertise includes the following curtain styles: pencil, pleat, triple pleat, box pleat, goblet pleat, Italian stringing and eyelets and more. 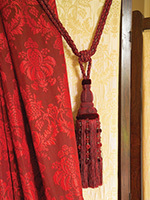 All our curtains are bespoke with your choice of linings. Talk to us about your curtains requirements, call 01642 242916. Our hand made upholstery includes headboards, seats, stools and pelmets. We can provide an upholstery service for suites as required. Give a new lease of life to your favourite furniture. 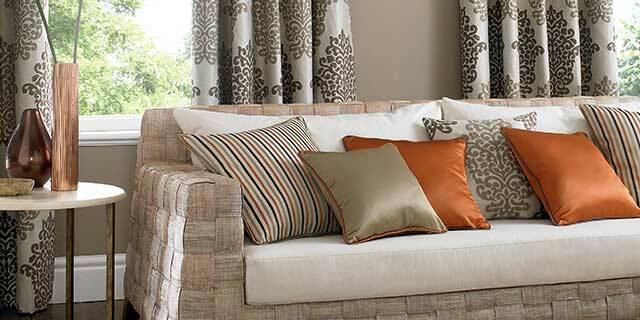 We source latest trend fabrics or can track down something specific to match your decor. We also stock a range of lovely finishing touches to help you achieve a unique and personal look. From measuring to fitting we provide a complete service. 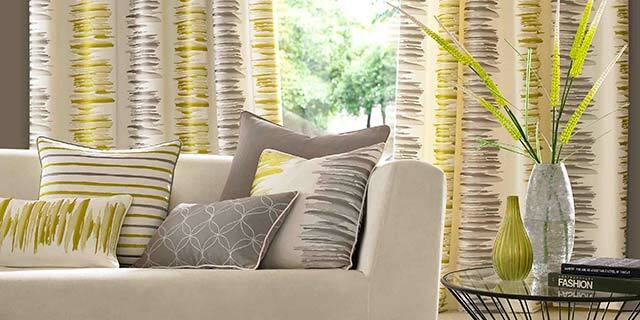 Complement and enhance your decor with bespoke curtains, blinds or furnishings. Discuss your requirements now, call 01642 242916. We create bespoke curtains to suit your room and style. Our expertise includes the following curtain styles: pencil, pleat, triple pleat, box pleat, goblet pleat, Italian stringing and eyelets and more. 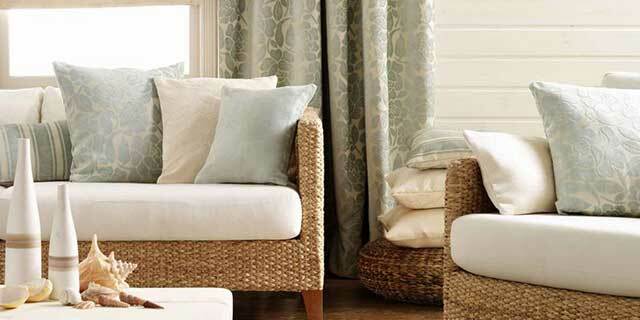 All our curtains are hand made with your choice of linings and also interlined curtains unless otherwise stated. We create bespoke, custom made curtains including pencil pleat, triple pleat, box pleat, goblet pleat, Italian stringing and more. Bespoke hand made Roman blinds, festoon and austrian blinds. NEW! 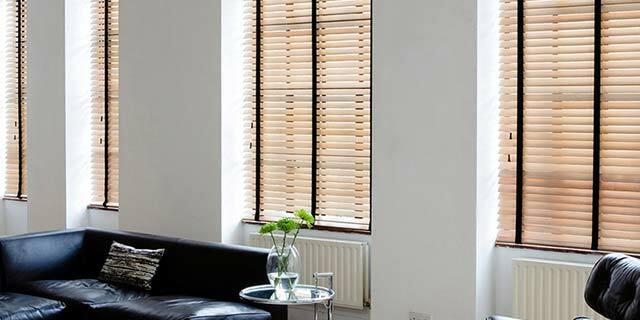 Wooden & Aluminium Venetian blinds. Our hand made soft furnishings include loose covers, cushions, throws, bed spreads and pillow shams. This trade has been in our family for over 60 years, spanning 3 generations. The older generation having worked for Lords and Ladies, transforming caravans to castles, our aim has always been to create beautiful bespoke curtains and soft furnishings whatever the setting. We offer a complete service from advice, measure and fitting. We welcome any enquiries no matter how large or small. Middlesbrough based we serve the Tees Valley including Stockton, Yarm, Ingleby Barwick as well as North Yorkshire and County Durham. Call us now on 01642 242916 or 07943 261823. 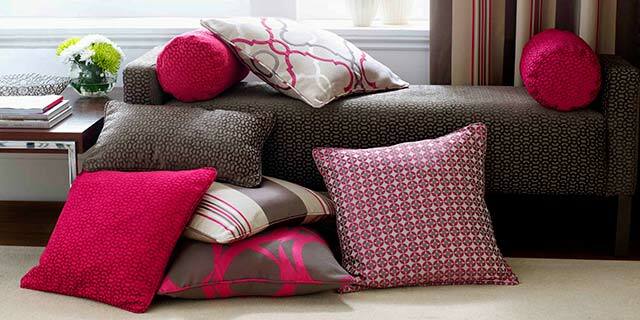 We have over 25 years experience within the soft furnishing industry and are fully trained seamstresses. Our experience includes both commercial and residential work, creating beautiful bespoke window dressings and furnishings to client specifications. We pride ourselves on offering relevant advice and design suggestions based upon our considerable experience, helping you to get a fabulous look.